The CSC is offering the Commonwealth Shared Scholarship 2019/2020 for Masters Students from Commonwealth Countries to study in UK Universities. Eligible Countries: Bangladesh, Cameroon, Eswatini, The Gambia, Ghana, Guyana, India, Kenya, Kiribati, Lesotho, Malawi, Mozambique, Nigeria, Pakistan, Papua New Guinea, Rwanda, Samoa, Sierra Leone, Solomon Islands, Sri Lanka, Tanzania, Uganda, Vanuatu, Zambia. To be taken at (country): Various UK Universities. 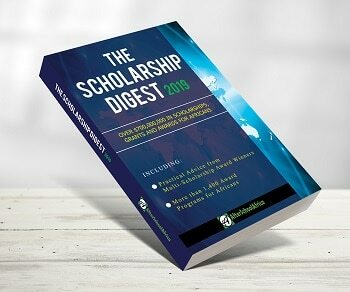 Download CSS prospectus 2019 in Program Webpage Link below for full list of participating universities and respective deadlines. About Scholarship : The Commonwealth Shared Scholarships, set up by the Department for International Development (DFID) in 1986, represent a unique partnership between the United Kingdom government and UK universities. To date, more than 3,500 students from developing Commonwealth countries have been awarded Shared Scholarships. All applications must be made through your chosen university. You must check with your chosen university for their specific advice, admission requirements, and rules for applying. Some universities may require you to complete their own admissions application form as well, which may have a separate closing date. You must take the necessary steps to secure admission to your course at the same time as applying for a Shared Scholarship. You must make your application using the CSC’s Electronic Application System (EAS), in addition to any other application that you are required to complete by your chosen university.